Opening: Saturday, June 20, 2009, 7 – 10 p.m.
Javier Peres is pleased to announce “Story without a Name,” a group exhibition curated by Blair Taylor. The exhibition includes film and collage by Dash Snow, and sculpture by Carol Bove, Terence Koh and Andrew Lord. All four of these artists currently live and work in New York City. At the onset of the Great Depression in the 1930s, Joseph Cornell took work designing textiles and selling appliances door-to-door to support his family and his habit of collecting ephemera with which to make artwork. He later referred to this period as “a golden age – one of white magic without which I don’t know where I would be today.” It was during this time that Cornell created a series of collages titled “Story without a Name – for Max Ernst,” from which the present exhibition takes its name and mission. Like Ernst’s own “collage novels” of the same period, Cornell’s collages forego narrative in favor of a kind of subjective helix. The collage materials were often taken from pre-photography penny novels (with heavily popular themes), but recombined to off-putting effect in a way we broadly categorize now as Surrealist. Here, bracketed by disquieting figurative collage and film by Dash Snow, sculptures by Andrew Lord, Carol Bove and Terence Koh anthropomorphize to resemble an eerie gathering (social, Neopagan, alien or otherwise) at the center of the gallery space. The material range – from Super 8 film to ceramics to painted bronze to peacock feathers – provokes a sensual suspension as that between synapses, a realm where dreamscape and corporeality fold together. 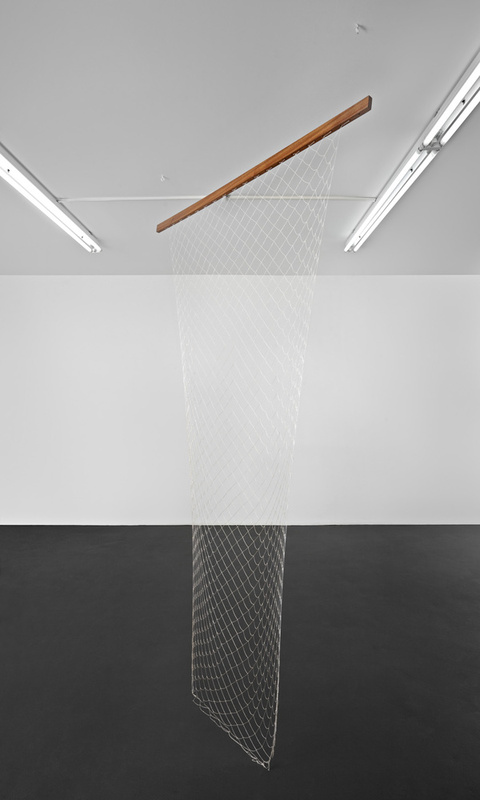 Carol Bove was born in 1971 and raised in Berkeley, CA. Bove’s work is also currently on view at Tate St. Ives, UK. Previous museum shows include the Whitney Biennial 2008 in New York City as well as solo exhibitions at the Kunsthalle Zurich, Kunstverein Hamburg and ICA Boston. Beijing-born artist Terence Koh’s work is currently included in the 53rd Venice Biennale. He has had solo exhibitions at the Schirn Kunstalle, Museo de Arte Contemporaneo de Castilla y Leon, Kunsthalle Zürich, Secession, Vienna and Whitney Museum of American Art. Born in 1950 in Whitworth, England, Andrew Lord has been exhibiting ceramic sculptures since the late 1970s, most recently in a solo exhibition at Barbara Gladstone Gallery in New York. Lord’s works have also been shown at international institutions such as Art & Project, Amsterdam, The Carnegie Museum of Art in Pittsburgh, PA, Camden Arts Center, London, and Rijksmuseum Twenthe, Enschede. Dash Snow has lived in New York City since his birth in 1981. His work is also featured in a current exhibition at the Institut Valencia d’Art Modern in Spain. Snow has also been included in group exhibitions at the Pergamon Museum, Berlin, Royal Academy of Arts, London and the Whitney Biennial 2006. “Story without a Name” will be on view at Peres Projects (Schlesische Str. 26, 10997 Berlin) through August 15th, 2009. Hours: Tuesday through Saturday, from 11:00 A.M. to 6:00 P.M and by appointment. For further information or reproductions please contact Margherita Belaief at +49 30 6162 6962, or Margherita@PeresProjects.com or Javier Peres at Javier@PeresProjects.com.